With lambing season right around the corner, shepherds need to start preparing now. In this weeks Ag-note, OSU students Kelvin Moore, Sade Payne, and Elizabeth Spahr highlight the importance of a sound vaccination program using the CDT vaccine. 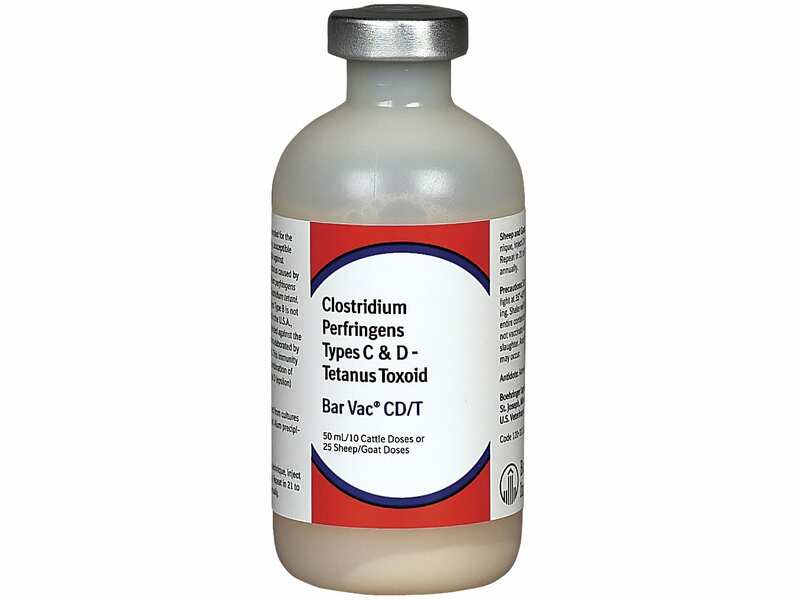 The CDT vaccine is yet another management tool found in the shepherd’s toolbox that is used to protect small ruminants against clostridium perfringens types C and D as well as clostridium tetani (tetanus). 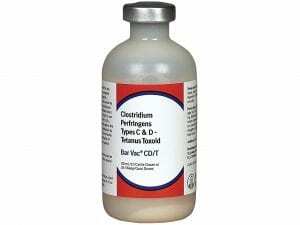 Appropriate use of this vaccine is a safe, cheap, and an effective method used to control for clostridial diseases in your flock. So now that we have a better understanding of what these diseases are and what we can do to combat against them, the next step is to understand how to appropriately use this vaccine. This vaccine is given subcutaneously either in the neck, axilla (armpit), over the ribs, or in the flank. All lambs should receive a total of 3 doses of the vaccine. For lambs born from vaccinated mothers, lambs should be given booster shots at 4-8 weeks of age and then again at 4 weeks later. You will note that there is some variability in the time frame of booster shots. This time frame will be dependent upon your production practices as it is important to give boosters prior to tail docking and castration for added protection. On the other hand, for those lambs born from ewes that were not vaccinated, these lambs should receive their first vaccine during their first week of life followed by 2 boosters, each given in 4 week intervals. For all other mature animals remaining on-farm, an annual booster booster is key. 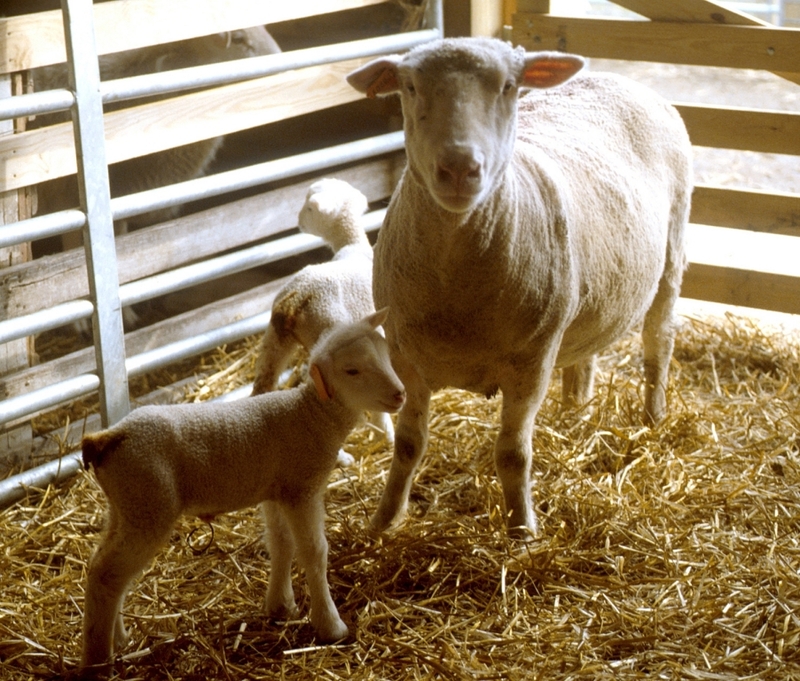 For ewes, it is easiest to administer the vaccine one month prior to lambing. This strategy allows producers to vaccinate more than one animal at a time, an efficient use of the vaccine. In the case of first time lambing ewes, 2 doses at 6 and 3 weeks prior to lambing is helpful as well. For the rams, yes they need a booster as well, administer the vaccine prior to breeding. Most producers use a marking harness or have to move the rams to a breeding area. During these activities it is easy to administer the vaccine as you are already handling the animal. At the cost of only $0.32 per dose, it is hard to make an argument upon why you would not use this vaccine. Mortality rates have been reported as high as 40% for unvaccinated flocks and in the neighborhood of 0.5% for vaccinated flocks. With the current lamb market, spending around $1.00 per lamb to assure the health of your flock is certainly worth the investment in the long run. However, it should be noted that a vaccine should never be used simply as a ‘band-aid’ to cover up an issue, rather it should be used to compliment sound management practices. Therefore, the combination of a sound vaccine program in addition to proper feeding, handling, and housing will be key to a successful lambing season. Posted by Braden Campbell at 8:00am January 4, 2019 Posted in Ag-note and tagged Economics, Health, Management. Bookmark the permalink.